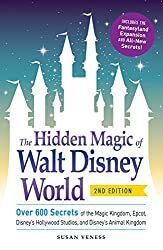 “Stage 89: An Unofficial Celebration of All Things 1989 at Walt Disney World” will take you back to a time where you could take an amazing journey into the movies, fly through the history of air travel, learn to surf without an ocean in sight, or maybe even celebrate New Year’s Eve every night. WDW News Today and WDWCelebrations have been presenting events for fans of Disney Parks for over 10 years now, but Stage 89 will mark their very first true collaboration. WDWCelebrations event favorites including a new interactive game, group rides and shows, and group meals, will be featured throughout the schedule for Stage 89, with the event culminating in a commemorative celebration of the 30th Anniversary of Disney’s Hollywood Studios on May 1st, 2019. The event will also feature a number of once-in-a-lifetime ticketed experiences that will allow you to see theme parks, nightlife venues, and more like never before. WDW News Today Founder Tom Corless formally announced Stage 89 at WDWNT’s Hollywood Studios Appreciation Day event on May 5th. All event-related information including registration will be posted at our dedicated event website, Stage89.com. A portion of the event registration fees will go to the WDWCelebrations Charity Initiative, supporting Give Kids the World. More information about the event will be released in the coming months via the WDWCelebrations.com website, the WDWCelebrations newsletter as well as the WDWCelebrations official fan page on Facebook and the WDWCelebrations Twitter feed. WDWCelebrations, L.L.C. is a not-for-profit unofficial Disney fan organization created by the team that brought you Celebration 25, the unofficial fan event in October 2007 drawing over 1200 fans together to celebrate the 25th Anniversary of EPCOT Center. Our Commemorative Events celebrate milestones in Disney park history, often in conjunction with an official Disney event recognizing the significance of the day. Our Signature Events span multiple days with a focus on unique group experiences and activities and other special events, designed to bring Disney fans together to celebrate and to enjoy each other's company. Through our events, WDWCelebrations is dedicated to bringing “unity to the community” in ways not yet explored. For more information, contact us!